Sometimes the simplest things can make your life easier but are also the most overlooked. This is why I wanted to make people aware to this amazing feature in Microsoft Word. I am completely bought into the mac operating system, performance and applications have made it my default, however this little feature I am going to cover is only available in Windows Microsoft Word. Even with the latest January 2018 major update. First up let’s find a windows box with Word installed. I normally use Word to pre create my blogs and then upload, the process is pretty straight forward but having to upload the pictures separately then insert them into the post within WordPress was becoming a bore, especially in say a walkthrough post where you may have a large amount of images. 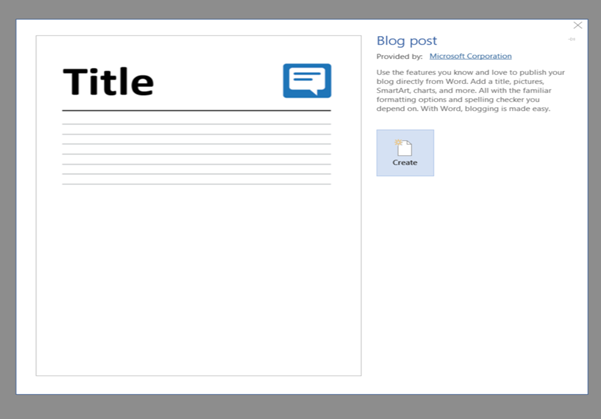 The first opening of this blog template it will prompt you to register or register later to your blog account. It would be a pretty short post if I chose to register later. 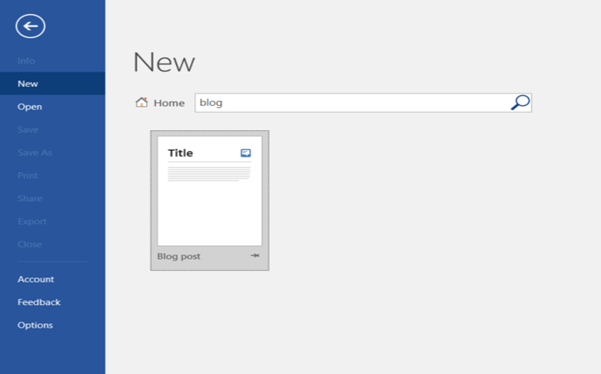 From the dropdown choose your blog provider, for the sake of my walkthrough this will be using WordPress. 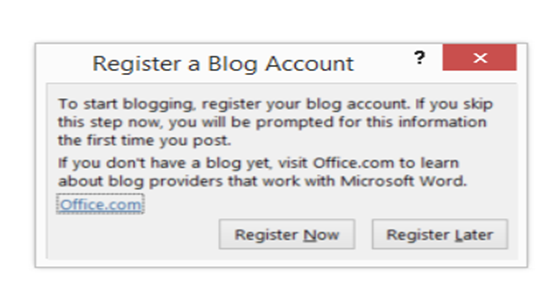 Add your blog url and include /xmlpc.php to the end of that address, username and password. As I mentioned one of the biggest issues I face is that separate upload and insert of images. 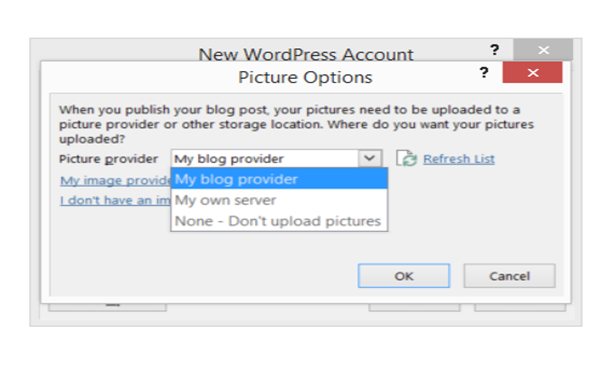 Again with WordPress they are able to hold your pictures so that was the configuration I chose, however if you had another option for example your own server then this is where that can be configured. Once you have the configuration, it will first connect and let you know if that is successful and if you want to add another account. That’s it, at this point we can now go and write out our blog post offline, whilst flying with all pictures included. In the ribbon at the top you will see Publish when you are ready to upload then hit this button. 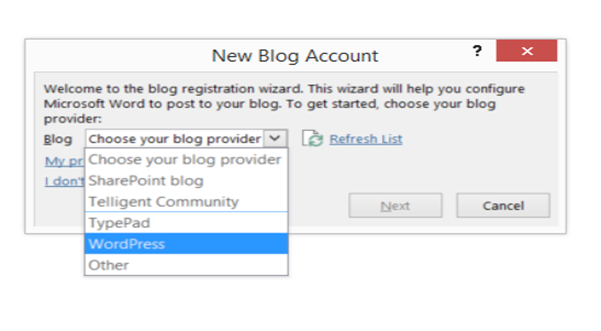 Two options here you can either straight publish to blog or publish as a draft, I think after using this for a few weeks my advice would be to use this is as a way of getting your blog to the draft stage. There are some formatting tweaks you will probably want to make up there. On first select if you didn’t select “Remember Password” then you will need to re authenticate. This will then authenticate and publish your new blog post to WordPress, it gives you a nice date and timestamp of when that was done. Also to note that if I was now to make additional changes then they would update the same WordPress post you will see it as a new version within the post. 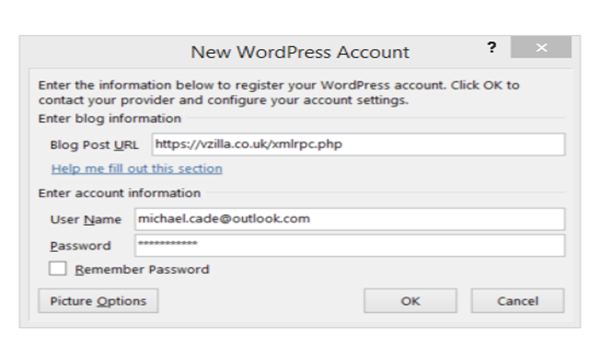 Now to make sure all things are well head over to your WordPress.com login. Also notice that I have no categories assigned, don’t know if this is possible from Word. And finally select the post and you can see the new post and you can add additional text, formatting, SEO detail and check on other plugins that have been enabled on WordPress. Not the normal post from me, but hopefully someone can start using this cool feature. The rest of us can hope that Microsoft implements this into the Word version on mac. For me it’s not going to mean me switching to Windows just yet. But there are many options to still have access to Windows.